The Dhammakaya Meditation Center of Palm Beach provides weekly meditation classes that is opened to surrounding community members. 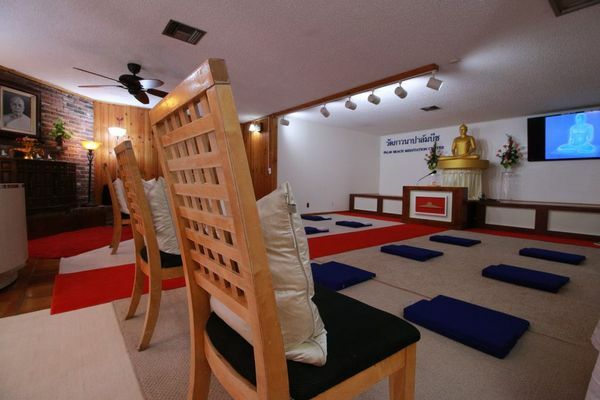 The center is located at 6080 Pine Drive, Lake Worth, FL 33462 and has been renovated into a serene meditation center. Several years ago, when one spoke about meditation, one may have received an odd expression from others. However, meditation is now considered in vogue with many people across the globe practicing meditation. If you haven’t done it, watch out! You might be considered to be outdated! At this center, the Dhammakaya meditation technique is used. It is a simple technique that anyone regardless of race, ethnicity, faith, gender, or age can practice. Meditation practitioners of all levels will be able to meditate together within the meditation classes offered and still experience inner happiness within their levels. This entry was posted in education, fitness, Health, meditation, sciences and tagged awarness, bhuddhist, buddhism, calm, coach, Dhammakaya, Dhammakaya meditation, dhammakaya meditation technique, dharma, empower, empowering, florida, florida meditation, happiness, inner peace, innerpeace, insight, Meditation, meetup, middle way, mind, mindful, mindfulness, Palm Beach Meditation, relaxation, saturday, saturday activity, spiritual growth, stillness, stress management, teach, teaching, TM, true happiness, way of life, yoga.